A Physical Hunger Scale can help you rate your hunger. Do not allow yourself to starve, or cravings will begin, and you will overeat. Do not stuff yourself either, which is also overeating. It is interesting that both hunger extremes lead to overeating. You should try to keep your physical hunger under control to avoid overeating at all times. That is the lifestyle solution. Not too hungry and not too full. Most of us can always eat more, and that is the key to weight control. Learning to eat a little bit less by developing great portion control strategies and practicing the mindless margin. HOW HUNGRY ARE YOU or THE MORE COMPLICATED CHART? This chart is a bit complicated, but I also know that different things work for different people, so here it is. What is the difference between feeling Neutral and Satisfied? Not sure that it matters. 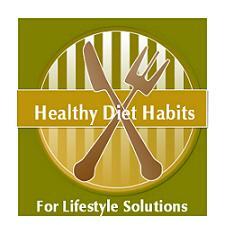 The Lifestyle Solution is still: Make sure you have control of your hunger and keep it in the middle of the chart. Going between starving, and stuffed leads to overeating! TIP: LEAVE GRAZING TO COWS. Americans are known as grazers. Often, we do not know where one meal ends and the next one begins. We eat our way through the day with no thought to our physical hunger. You need to stop grazing and plan meals and snacks (mini meals) to be successful at weight control. TIP: FOLLOW THE 20 MINUTE-RULE. Remember that it takes your brain 20 Minutes to realize that you are full. To rate your physical hunger, you must slow your eating down. Most of us can consume an enormous amount of food in the twenty minutes that it takes our stomach to tell our brain that we are full. If you eat quickly, you will often find yourself stuffed. Slow it down. Speedy eaters wear bigger pants!